I think it was one of my lucky days at the library when I picked up a copy of Annabel Smith’s 2005 debut novel A New Map of the Universe earlier this year. This novel was selected by UWA Publishing to launch their New Writing series of adult fiction and it was also shortlisted for the WA Premier’s Book Awards. It turned out to be such a pleasure to read that before long I posted a Sensational Snippet, and my enthusiastic review followed not long afterwards. 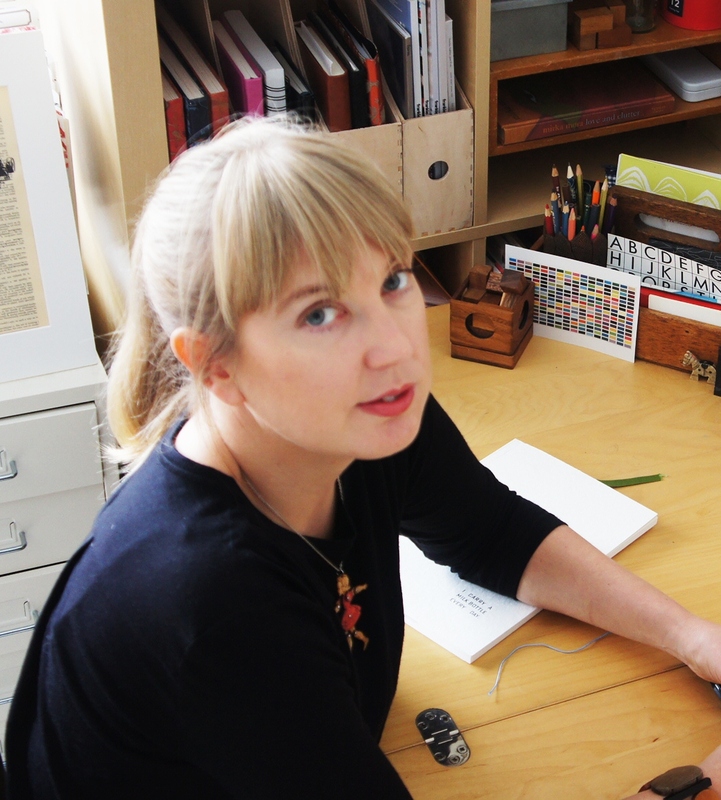 Annabel has a PhD in Writing from Edith Cowan University and has had short fiction and reviews published in the literary journals Westerly and Southerly. She has been a writer-in-residence at the Katherine Susannah Prichard Writer’s Centre in WA, and has just released her second novel, Whisky Charlie Foxtrot: A Novel. (See my review). I have the pleasure of launching this novel at Readings in St Kilda on Thursday November 15th, so Annabel is making her way over from WA and I will be able to meet her for the first time, and I’m really looking forward to that. I’m hoping that we’ll find time to chat about some of her adventures with contemporary formats which include her third novel, The Ark, being released as an interactive digital app in 2013. For those of you who can’t make it to the launch, here’s a virtual meeting with Annabel, who has kindly agreed to participate in my occasional series, Meet an Aussie Author. I was born in the nondescript town of Bedford, England in 1974. When I was a child I wrote many dramatic tales involving ice caves, evil overlords and the like which almost always ended with the classic wrap-up “and then I woke up and it was all a dream”. The person who first encouraged me to write was Marcella Polain, poet and author of The Edge of the World. Marcella was my tutor for a creative writing unit at Murdoch University and at the end of the semester she said to me “you must keep writing”. Until that moment I had never thought of it as anything more than a hobby. I was also lucky enough to be mentored by Richard Rossiter during the writing of my first novel, A New Map of the Universe. I write in our spare room/study/dressing room (aka floordrobe), on an extremely messy and cluttered desk. I wrote my first novel in various public libraries. I was an unofficial shushing monitor. I write when my son is at school, if I can manage to drag myself away from the myriad distractions of the internet. Research is something I need to try harder at. I am allergic to looking things up in books; it feels too time-consuming. So I just google everything, which doesn’t always get me the most reliable information. I keep my published work/s on the shelf with all my other books. On the day my first book was published, I drank champagne with my editor, Amanda Curtin, and book designer, Robyn Mundy, who just happened to be at my house for our regular writing group the moment my book was delivered. Serendipity. At the moment I’m writing a steampunk-inspired reinterpretation of the Persephone myth, featuring a mad scientist, an evil priestess and the mother of all tsunamis! No, not kidding. When I’m stuck for an idea/word/phrase, I procrastinate by wandering around on the internet for a while, then eventually I knuckle down and just keep trying different things until I find a solution. I’ll bet that champagne tasted wonderful! 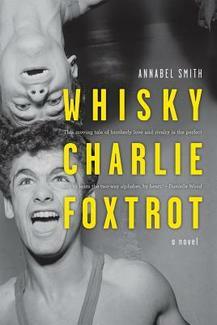 You can also buy Whisky Charlie Foxtrot as an eBook at Fremantle Press. You can read a sample of Annabel’s writing – a short story called ‘A Nest of Bunyips’ – at Southerly and you can discover more about Annabel at her website. Oh good for you Lisa … what fun. I hadn’t heard of her until your review. Now, I must look out for her. Love the title of her current book. Woo hoo! I’ve been waiting for this one. 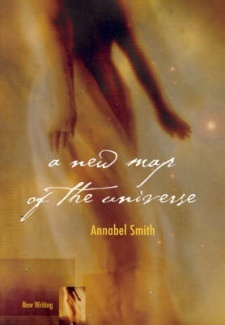 You know how much I loved ‘A New Map of the Universe’ and Annabel is a fellow author I would love to meet. So I will likely be sitting on your shoulder in spirit on the 15th November. Hello everyone, I must say that I am very pleased that my first ever launch is for an author whose work I admire so much. As you can see Whisky Charlie Foxtrot is very close to the top of my TBR and I am looking forward to reading it. Thanks for the update on Annabel Smith. I reviewed ‘A New Map of the Universe’ for the Canberra Times and went on to review others in the UWA New Writing series. A great initiative! I look forward to reading Annabel’s new book. Hi Lisa, thanks for that offer, but I wrote the review years before the Canberra Times starting putting book reviews online.